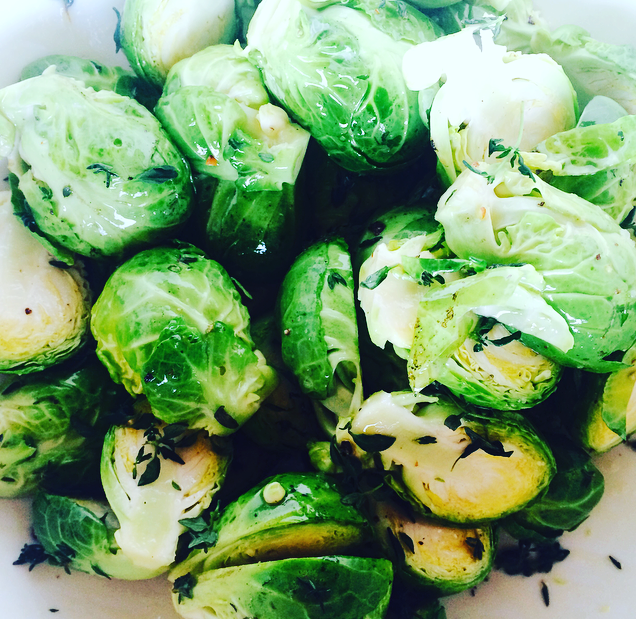 I LOVE sprouts, I think they are a little like marmite…you love them or hate them! I could eat them all year they are possibly one of my most favourite vegetables. Each year I make these with pancetta, parsley and chestnuts (I will share this recipe soon) so this year I wanted to try something new. 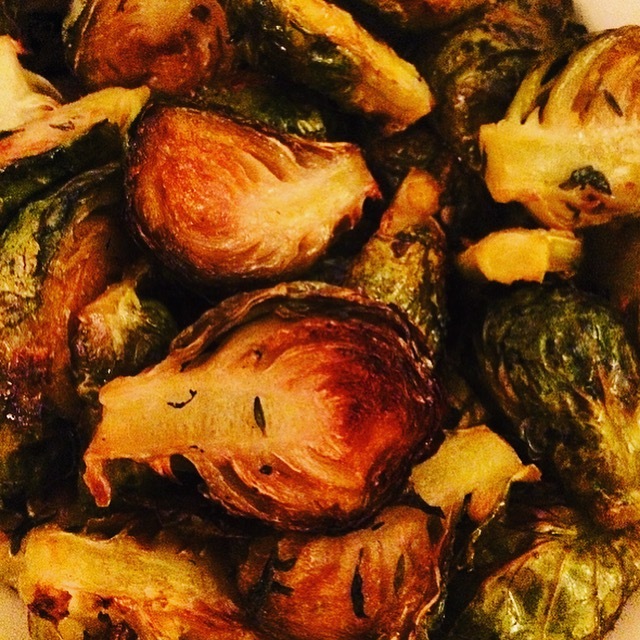 I have recently noticed a few photos of sprouts which have been roasted so thought I would give them a go. I liked the idea of them being slightly caramelised with a golden brown colouring, so I thought a drizzle of honey could be a good idea. Instead of my usual herb of choice; parsley, I opted for Thyme, then I thought it needed a little zing so added a squeeze of lemon…..the result was amazing, very tasty and my new favourite way of cooking them, check it out…. 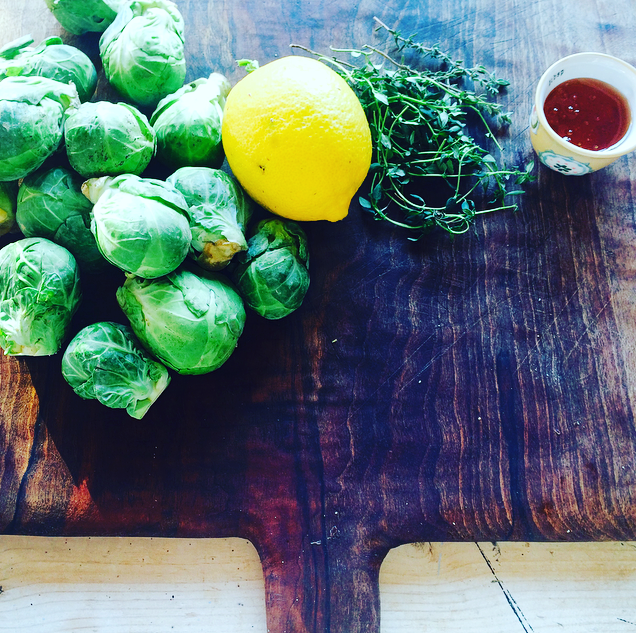 Cut the ends of the sprouts off and them into half length ways. 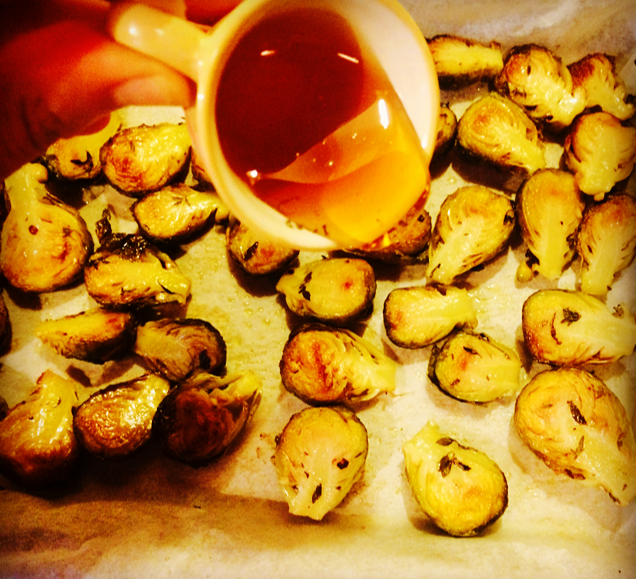 Place into a bowl and drizzle over the oil. 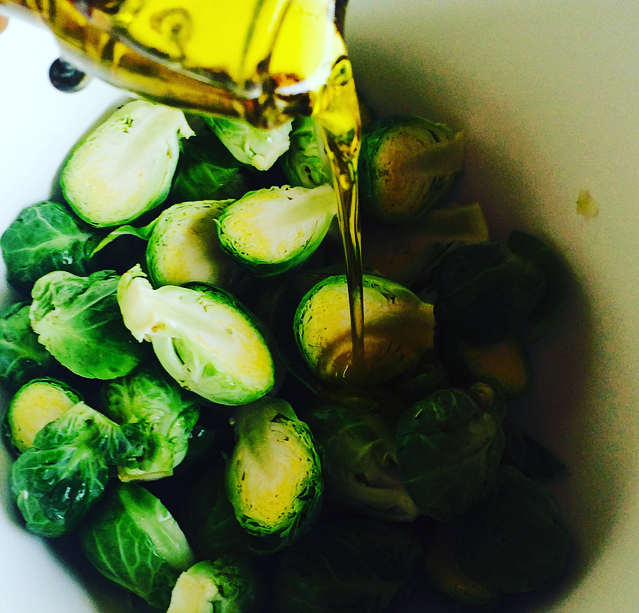 Give the bowl a shake and toss and coat each sprout in the oil. Add the thyme, leaves only and give the bowl another shake. 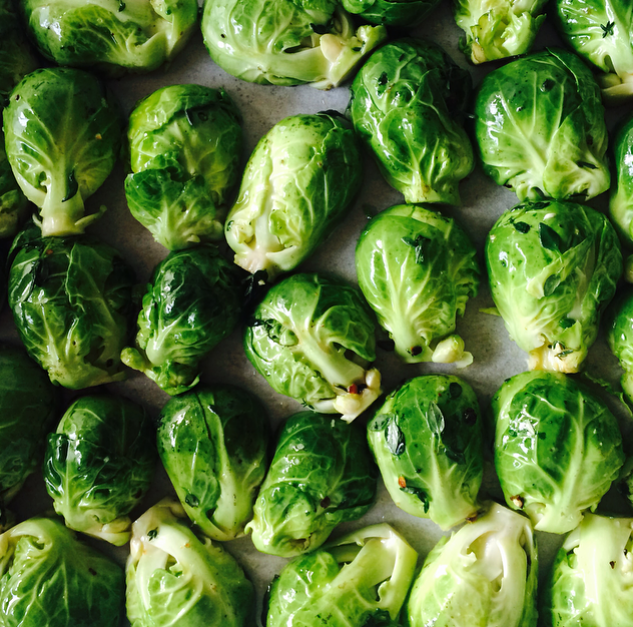 Take a baking sheet and pop and sheet of parchment on top, then place each sprout cut side down onto sheet. 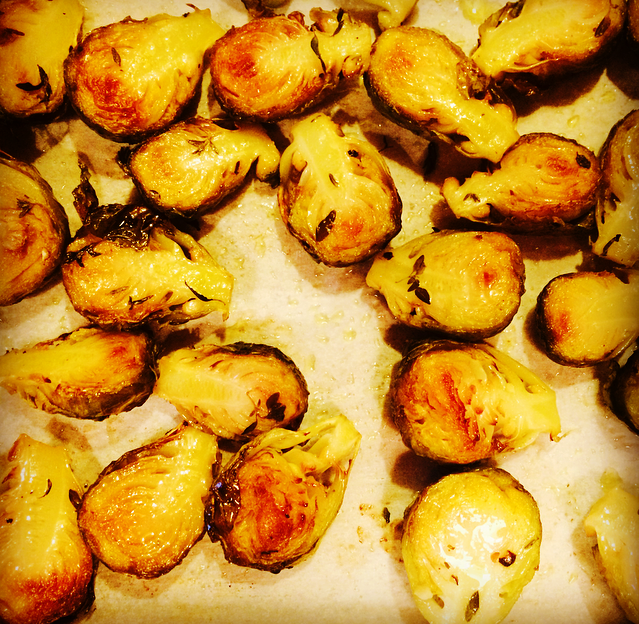 Place into the oven and roast for about 30 minutes, or until the under side of the sprout is a golden brown colour. Once they are golden turn them over. Pop back in the oven for another 10 minutes. Then remove and place into a bowl, squeeze over the lemon and give a gentle shake, now you’re ready to serve! 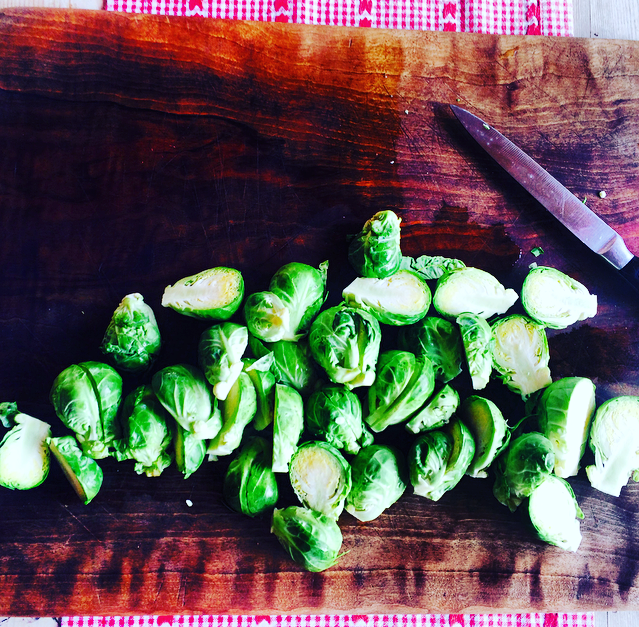 Cut the ends of the sprouts off and them into half, length ways.